Convinced that elephant safaris should be avoided? If so take the pledge! Simply leave a reply below this post, with your name and motivation. Cruelty and exploitation are the dark side of animal ‘entertainment’ – it’s no wonder those in charge of it hate transparency: it makes them lose money (and be reviled). I never have (in my 50 years of life) and never would contribute in any way to use of animals for human entertainment. I have not and will not support elephant safaris, nor will I attend any animal performances. I have never supported and will never support elephant rides. I rode an elephant at a festival as a small child because my mother was running the event and told me to do it. It was probably as terrifying for me as it was for the elephant and I still feel guilty about not throwing a fit and refusing. These are intelligent, highly social creatures who deserve better. Wild animals are not for our exploitation. Since then, I have not attended or supported (nor will I ever) a venue that includes wild animals–no zoos, no circuses, no festivals. I will never support any animal exploitation. Never have and never will. There seems to be less and less compassion for our fellow sentient beings. I hope one day that humans will learn that non human animals were NOT put on this earth to entertain, be worn or eaten. Elephant safaris should be not only avoided but completely banned. I will not participate in elephant safaris or in any entertainment that involves elephants. 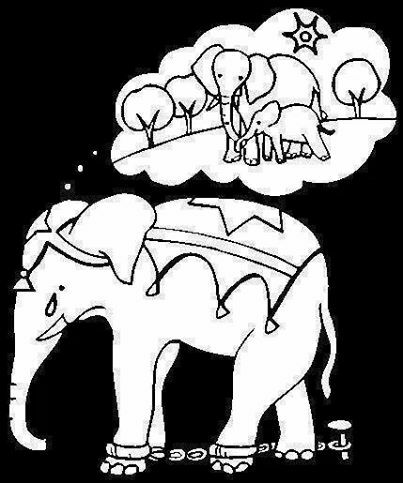 I will never ride an elephant. If we all stopped doing this, this industry would die a natural death. I hereby pledge to refrain from elephant safaris, bathing and games since I believe this increases the suffering of captive elephants.